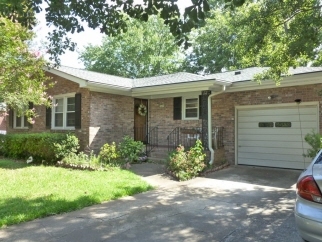 Close to I-26, Boeing, MUSC, Trinity Montessori School, and downtown Charleston. Charter school Orange Grove Elementary School is nearby, where application for attendance must be submitted and accepted. Interior Features "Cozy cottage" is the feel you get when you enter this one-level, brick home in center of West Ashley. Home features large living room, and open area that includes kitchen, breakfast area, and family room with sliding glass doors overlooking patio. Gleaming original hardwood floors. Vintage bathrooms. Exterior Features Architectural shingles on roof, thermal windows, and siding (low maintenance) on trim of house. Single garage with double driveway. Fenced back yard with mature landscaping consisting of a variety of native plants. Storage shed/workshop with electricity. Additional Features and Amenities Security system and transferrable termite bond. Quaint naighborhood with no mandtary HOA.